How To Relieve Gas In Babies – The babies who suffer from gas problems will not sleep well at night. It is also affects you, as a result you also can not sleep soundly for fear of your baby. Babies will often fuss and cry when experiencing gas problems. The most potential time for gas problems is at night. So your baby will tend to cry and fuss. If you see your baby storied like this, this could be a gas problem, then immediately give help to remove gas. Likewise with newborns, they tend to develop digestion so that many gas problems or vomiting occur. As a parent, you have to know how to overcome gas, then in our post we give some ways to relieve gas in baby. One way to look at is baby milk, you should not give milk in many sizes at once. This could be a cause of choking and gas problems. Here we see more about the problem of gas in infants and how to relieve it. The gas problem in infants is caused by the stress of the colon, when the baby moves a lot then this can happen. So also with babies who swallow a lot of air, this will cause gas problems. Is the gas due to food? Gas that occurs in babies is also caused by certain foods that are consumed by the mother. If you are mother that breastfeeding the baby, you should avoid foods that can cause gas. However, if after change their diet and gas still exists, it means that gas in infants is not caused by food that the mother consumes. Can cry cause gas in infants? True, in some babies, crying can cause gas on them. Well, when the baby cries the air into the baby’s body out of control, causing gas problems. Furthermore, the cause of gas in infants is irregularities in disposing of faeces. If the stool is stacked in the intestine and is not expelled for a long time, then it can be suspected that this is one of the causes of gas in infants. One simple tip to solve the gas problem in your baby or release the gas in your baby is to fold the baby’s legs gently. After folding the baby’s legs gently, gently press down on the baby’s stomach. This should be done with extra caution. If you are unsure of what you are doing, you should take the baby to the doctor to be performed by an expert or professional. In addition to the above ways, you can try this way to release gas in infants. Massage baby’s abdomen carefully. Move hands in a circle while slightly pressing on the baby’s stomach. It aims to improve digestion. Next, how to relieve gas in babies is to move the baby’s feet in a circle. Move your baby’s feet like you are riding a bicycle. This simple method can prevent gas problems and even constipation problems in infants. During infancy, the development of digestion continues to increase so much gas they emit. Generally, babies release gas up to 10-20 times a day. Besides releasing gas, baby also often burp. So, pay attention to the baby’s attitude when drinking milk, make his head higher than the stomach. Another tip to prevent gas in infants is avoid air bubbles in milk bottles. Bubbles in milk can also cause gas in infants because the baby eats the wind in the bubble. 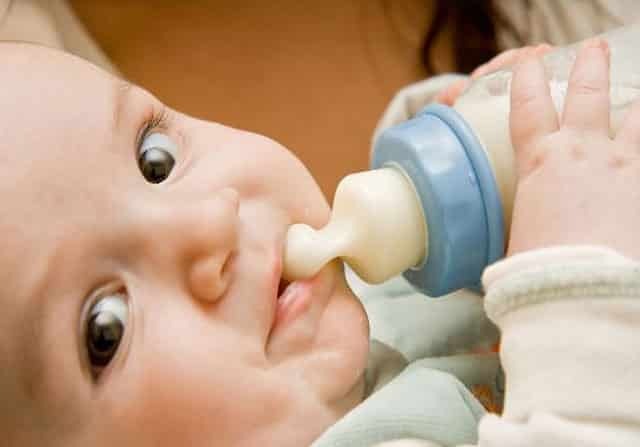 So, does the empty bottle of milk, if you see the baby inhaling the empty bottle, immediately take it and get rid of it. If you have tried the above tips on how to relieve gas in babies and you are not successful, consult your doctor immediately.